The Hitchiker’s Guide to the Galaxy states that you should always know where your towel is. Well if there were a Camper’s Guide to the Galaxy, surely the #1 piece of advice it would give would be to always know where your bucket is! A 5 gallon bucket – or three – is the most versatile of any camping gear, whether you’re a barebones backpack camper, a car camper, or prefer to bring a motorized RV to the campsite. These are just a few of the many suggestions for a 5 gallon bucket shared at reddit.com/r/camping. User lessthan12parsecs provides many of the following. Seating – Keep a bucket right outside your tent so you have somewhere to sit when you are taking off or putting on your shoes. By the picnic table you can use one as an extra seat. 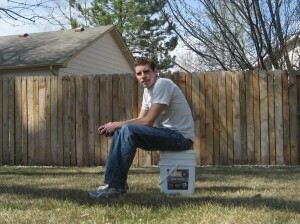 If you’re “packing out” your waste, a separate 5 gallon bucket with a snap-on toilet seat makes a very usable porta-potty. 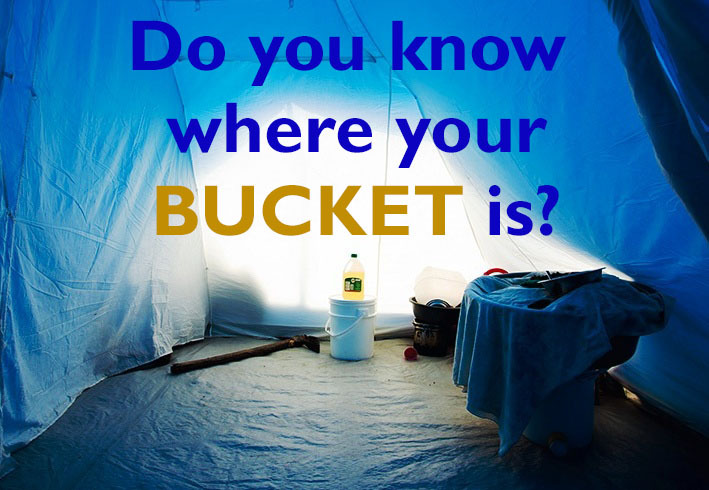 Weather protection – Put your shoes, gloves, scarves, or anything else in the bucket to keep them dry and out of the tent. Store items you might want to access quickly like flashlights, rain gear, sunscreen, toilet paper, bug repellant. Garbage – Keep a couple plastic grocery bags in the bucket to put trash in. Food Security – Store the food that doesn’t need to be kept cold. Hang it where the raccoons or bears can’t get into it. Campfire – Collect firewood in your bucket. Fill it with water to douse the fire pit before you leave. While you’re at it, use it to carry the hatchet, fireplace poker, log tongs, bellows, mallet, shovel. Water Purification – Fill a bucket with lake or stream water and take back to camp to pump it through your water filter. Kneeling down for 15 minutes on a muddy bank is a great way to take the fun out of camping! 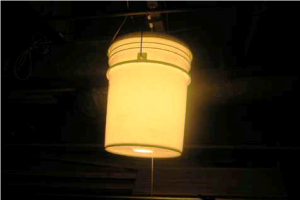 Lighting – Create a “Bucket Light” . These come in very handy, and will light more than enough when hung about 15′ or so up in a tree, and you can store your ropes and extension cords inside it when you’re not using it! The Kitchen Sink – A couple of guys built an amazing 3-chamber camping sink out of a few buckets. It has a clean water reservoir, grey water reservoir, and a foot pump. 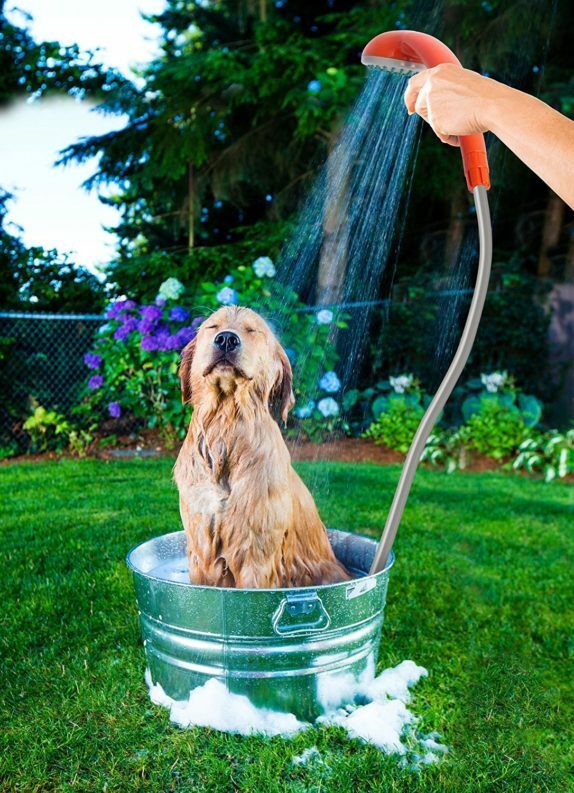 Portable shower – This battery-powered shower head can be used in combination with a five gallon bucket to have a great shower anywhere you go. Links to longer descriptions for most of the above ideas. Can you think of any other ways a bucket is indispensable for a camper? 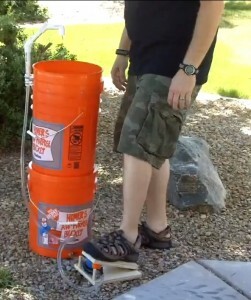 I invite you to share how you’ve used 5 gallon buckets on your camping adventures. 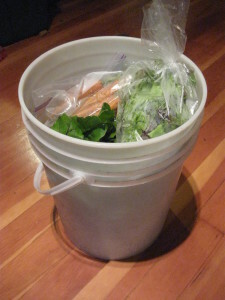 I use a 5 gallon bucket in the ice chest – I pour the bag of ice into the bucket – keeps the melted water off of food. A 5 gallon bucket makes a convenient stepladder to pack the roof of our SUV for camping. After packingthe roof, other things are stored inside it to conserve space. I’m looking for a way to hook up a bucket with shoulder straps for going surf fishing. :( No instructions for making the bucket light!